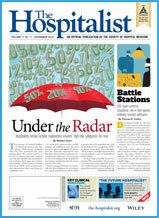 One of the more promising healthcare employment positions for 2014 belongs to the hospitalist. 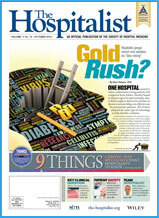 But what is a hospitalist, you may ask. Being unfamiliar with this position would not be uncommon as it is something of a new phenomenon. According to the Society of Hospital Medicine, a hospitalist constitutes as a physician whose prime directive is the medical care of hospitalized patients. They also take the reins when it comes to communicating the needs of the patient to different doctors in the hospital. The majority of hospitalists are internists, or internal medicine physicians that have undergone the same training as doctors who have specialized in internal medicine. These tasks include a residency, medical school, and a medical board exam. Programs originated in the mid 1990’s in areas with high amounts of managed care enrollment, alongside large urban teaching hospitals. Due to strong growth in the field, more rural and smaller hospitals have more gradually begun to utilize the hospitalist as well. At first glance, it may seem odd that a patient may not see their primary care physician during their stay, however there is a rhyme to the reason. 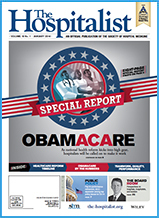 One of the largest needs for the creation of the hospitalist was for the convenience to the patient. 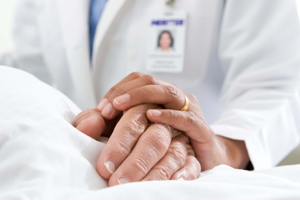 Having a physician who is particularly suited to in-patient needs is invaluable. It also allows the hospital itself to operate more efficiently. Instead of having to delegate tasks and juggle staff members each time a new need or situation arises, they simply consult the hospitalist. This, in turn, also allows the hospital to become more cost-efficient, wasting fewer resources. This level of focus can lead to the hospitalist to gain a well of knowledge and experience to the unique needs of the patient. They also allow family members and other loved ones to receive prompt updates to the status of the patient, as well as instantaneous knowledge that pertains to the hospital’s own internal policies. Job market surveying began in 1994. The profession showed a growth margin of 5.9 percent in 1995 and continued to grow, reaching 19 percent in 2006. 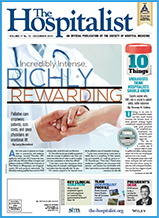 Some four years ago, a figurative feeding frenzy had begun as hospitals were taking an “any warm body” approach in terms of recruitment to the field. While the hype has cooled somewhat recently due to saturation, the overall outlook is far from abysmal. Growth is tending to become weaker in the highly desirable urban areas, but growth continues to trend in rural hospitals. A medical facility’s hospitalist medicine branch is becoming almost as commonplace as having an emergency room. With interest still high, residents and mid-level practitioners continue to procure the means to access the assistance of a hospitalist. As always, your friends at Doctors Choice Placement can help in finding a hospitalist job in every state. If you’re interested you can attend a Society of Hospital Medicine convention and find out more.